A modern ticketing system that can scale on demand to handle LACMA’s popular special exhibitions, which can sell out within minutes. Museum patrons use LACMA’s online ticketing system for both general admission and for popular special exhibitions, like “Rain Room”—an immersive environment of perpetually falling water that pauses wherever a human body is detected. These special exhibitions often sell out within minutes of the time tickets are released. Traffic to LACMA’s online ticketing system—which is the primary mode for providing ticketing to special events—can spike to thousands of visitors within seconds of tickets becoming available. 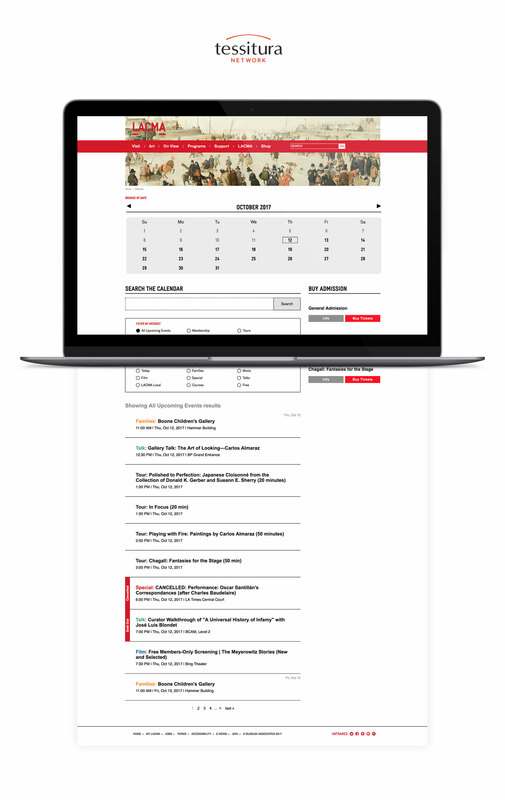 To deliver highly available and scalable online ticketing for LACMA's patrons, Urban Insight and LACMA architected a highly available and scalable ticketing solution on the Amazon Web Services (AWS) platform using Tessitura ticketing software, and introduced the promise of on-demand cloud computing. The ticketing environment operates in an Amazon Virtual Private Cloud (Amazon VPC) with finely-tuned security groups to ensure security compliance. The team uses AWS Identity and Access Management (IAM) to control access. AWS Elastic Load Balancing (ELB) products manage traffic to an autoscaling Amazon Elastic Compute Cloud (EC2) cluster that deliver a highly performant Node JS application, also developed by Urban Insight. The ticketing system integrates via an API with the Tessitura ticketing system, popular with cultural arts organizations. As a Tessitura partner, Urban Insight was able to create a prioritization algorithm to smooth the flow of requests during peak periods to the Tessitura API, prioritizing patrons who are ready to complete a purchase. This system provides LACMA the confidence to be able to scale ticketing sales to a virtually unlimited number of visitors, while decreasing hosting costs by over 43% of the previous managed physical server configuration.